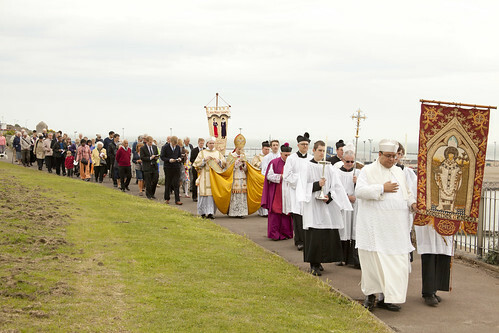 After speaking at the LMS Conference on Saturday, Bishop Schneider led another Latin Mass Society pilgrimage, to the Shrine of St Augustine of Canterbury at Ramsgate. 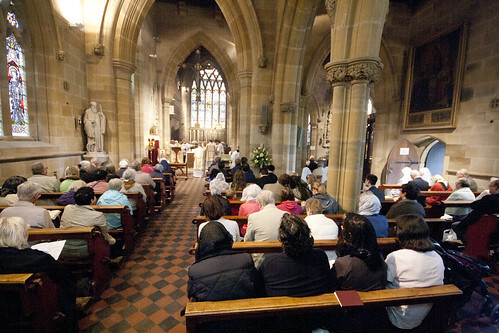 This was the church where A.W. Pugin wanted to end his days: he built the church, and his own house right next door. It was built for the Benedictines, whose monastery is the other side of the road (a tunnel connects it with the Sacristy), but they have left. 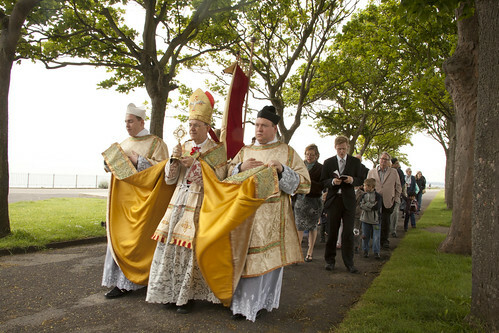 The shrine custodian is now Fr Marcus Holden, and there is an EF Mass there each Sunday. 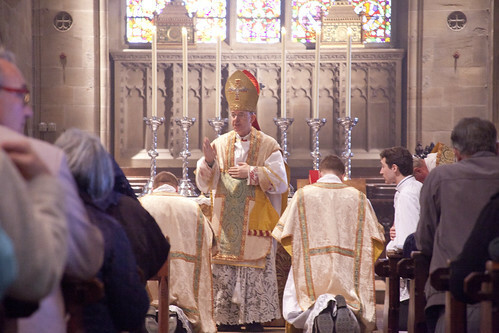 After a magnificent procession with the relic of St Augustine, Bishop Schneider celebrated Mass for a packed church. 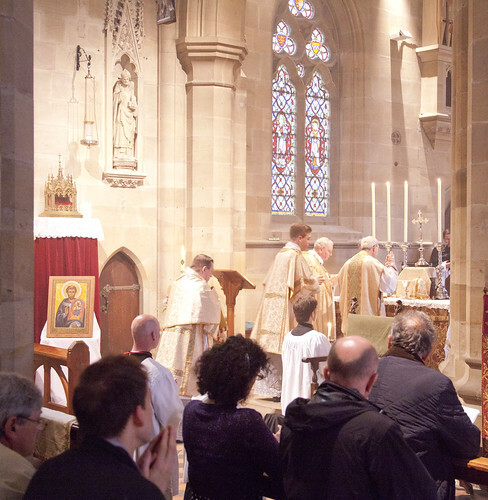 Bishop Schneider's visit has generated a fair bit of (favourable) comment; see here, for example, from Fr Ray Blake, and here from Lawrence England. 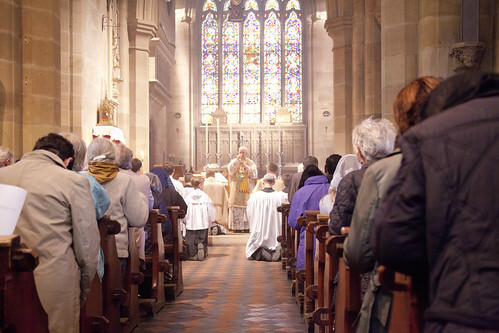 The church is magnificent, though not enormously large; heroic work has already been done by the Custodian, Fr Marcus Holden, and more is happening. We filled the place; I and a lot of others were standing at the back. fantastic!this is the future of our church.i so much wanted to meet this bishop schneider but couldn't.dont tell the bishop of rome of this or you will expect a visitation! !god bless .philip johnson.